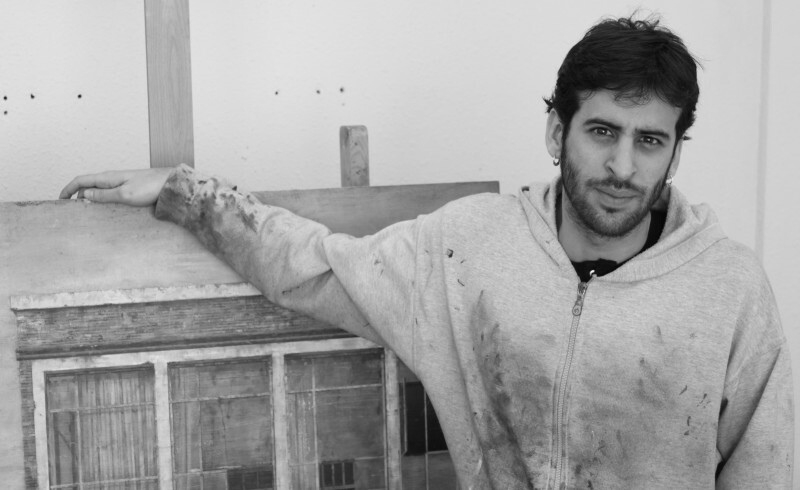 Gorka García is one of the youngest artists with great projection of the gallery, whose work is starred by uninhabited landscapes in which the poetics of the ruin and a deep compositional and formal analysis of his works are the common denominator. 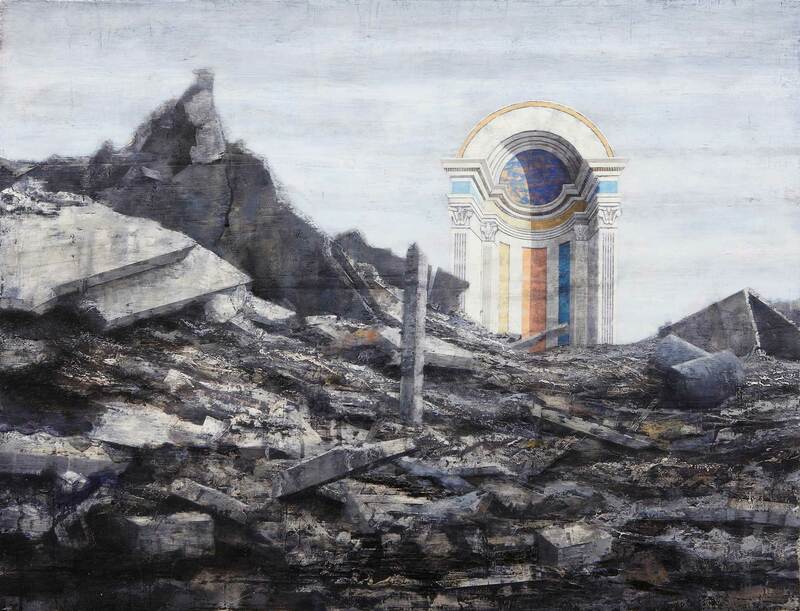 Gorka’s work tries to deepen and reflect on the existing relationship between the various utopian proposals put forward throughout history by great thinkers such as Plato, Rousseau, Comte or Marx, among others, and the somewhat “dystopian” world in which we live today. 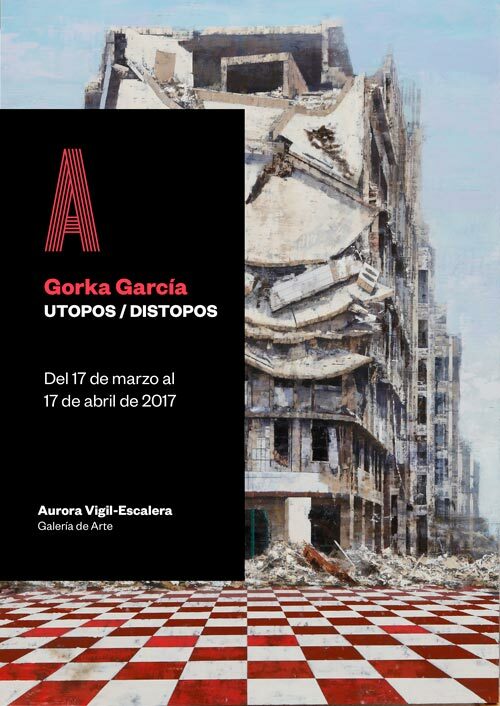 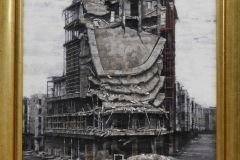 To this end, Gorka takes as a paradigm of utopia the aesthetic of the Renaissance, a markedly utopian era, and as a paradigm of dystopia, several contemporary cities devastated by war. 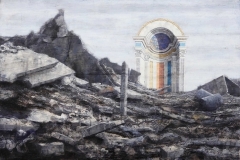 It is, in the end, a conceptual and aesthetic opposition, since in the case of the former we could speak of extremely studied, harmonic, linear and colourful compositions; and in the latter, of very casual and anarchic compositions, in which the heaps of rubble or the collapsed buildings do not keep any logic or stick to a marked perspective, to which must be added the monochromatic character (wide range of greys) of some of the cities of the Middle East that are currently immersed in different warlike conflicts. 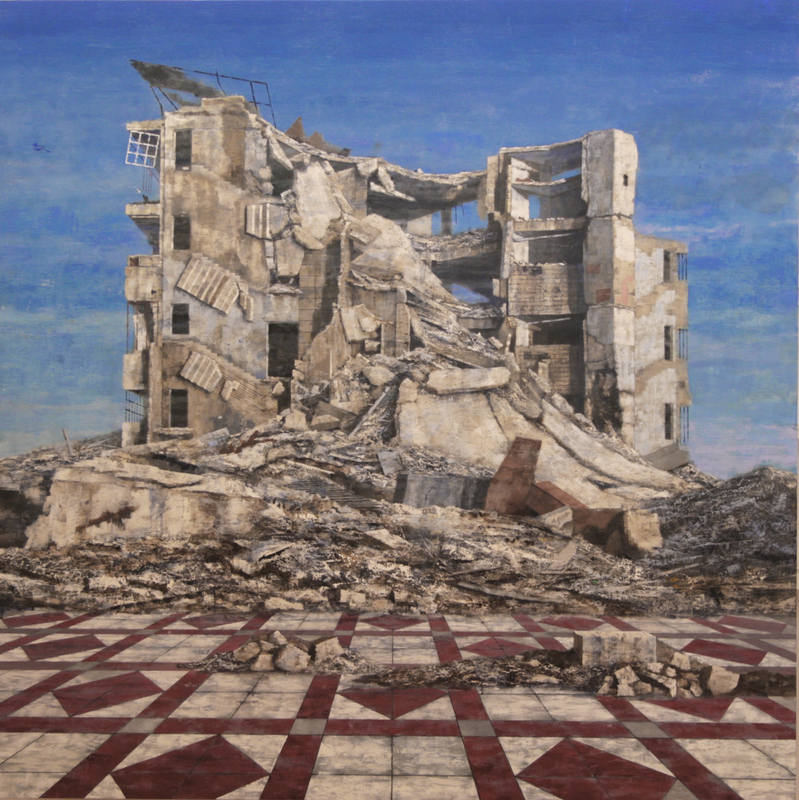 Holding a Fine Art Degree by the Basque Country University, Gorka moves to Italy for a year through a scholarship which allowed him to attend one of his academic years at the Academy of fine arts of Ravenna. 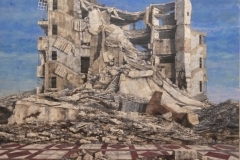 After finishing his undergraduate studies, his training continues at the studio of painter Alejandro Quincoces and later on he received, among others, the «Beca de Pintores pensionados del Palacio Quintanar» (Segovia), or scholarship ‘Fundación Antonio Gala para Jóvenes Creadores’ (Córdoba). 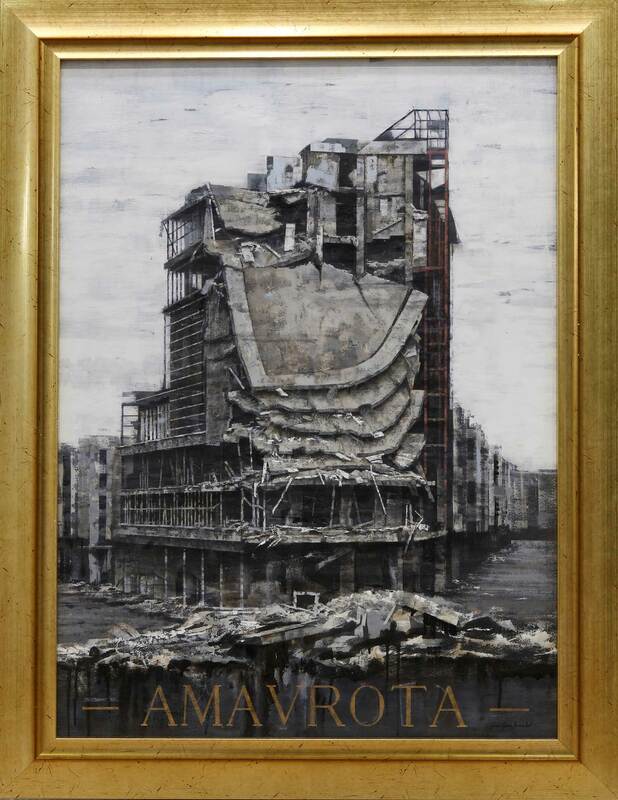 He has also participated in numerous FLECHA editions, as well as in the emerging arts Salon of GetxoArte. 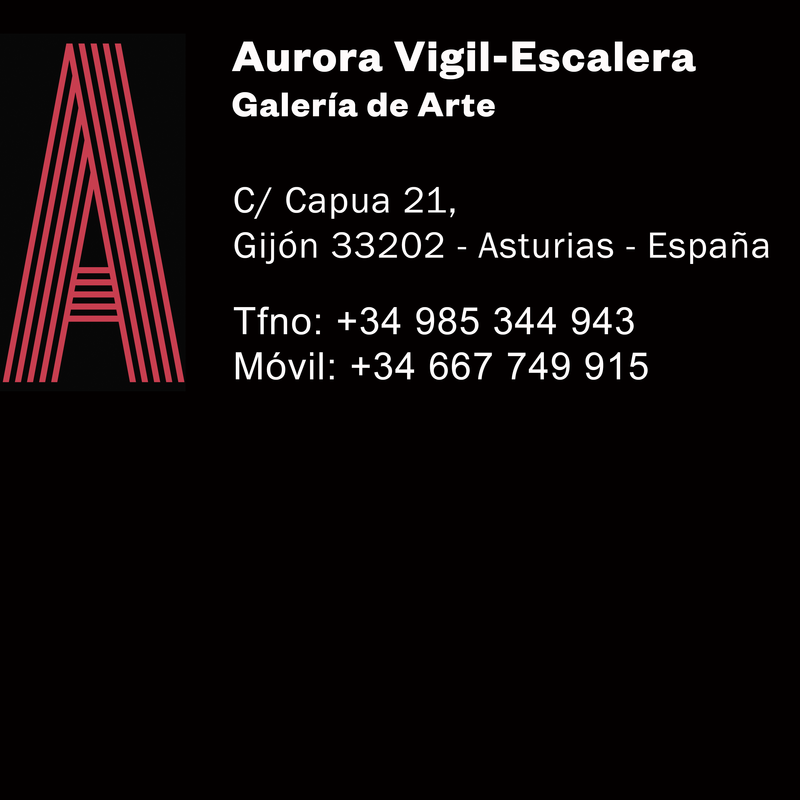 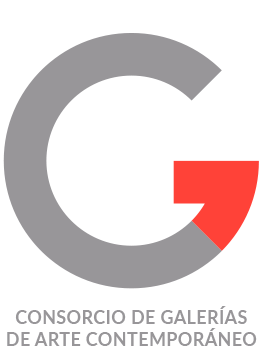 If you are interested in any of the artworks below, or would like to receive information concerning Gorka Garcia, please click here.